Prince Fielder is a large baseball man who hit himself a large donger in the fourth inning of this afternoon’s Rangers win. 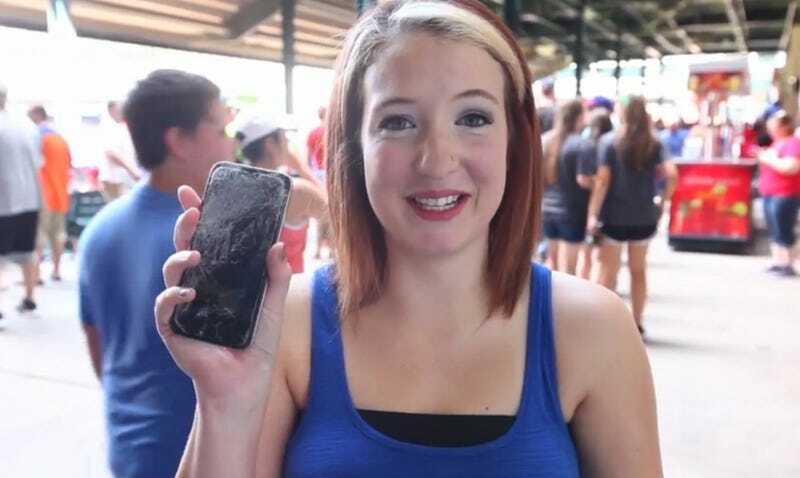 Fielder sent the ball arching past the right field pole and, somehow, directly into this fan’s phone. (Mobile readers, hold your phones close, be thankful for their safety, and check it out here). The local Dallas TV station caught up with the fan after the collision, and she says that she was on her phone when the ball flew in too quick to react and do anything besides sacrifice the poor phone in self defense. Let this be a LESSON to all you MILLENNIALS that CELL PHONES are not BASEBALL MITTS.